How Do I Download an Episode on Mobile iOS? Note: This support article is specifically for the download feature in iOS on mobile only. 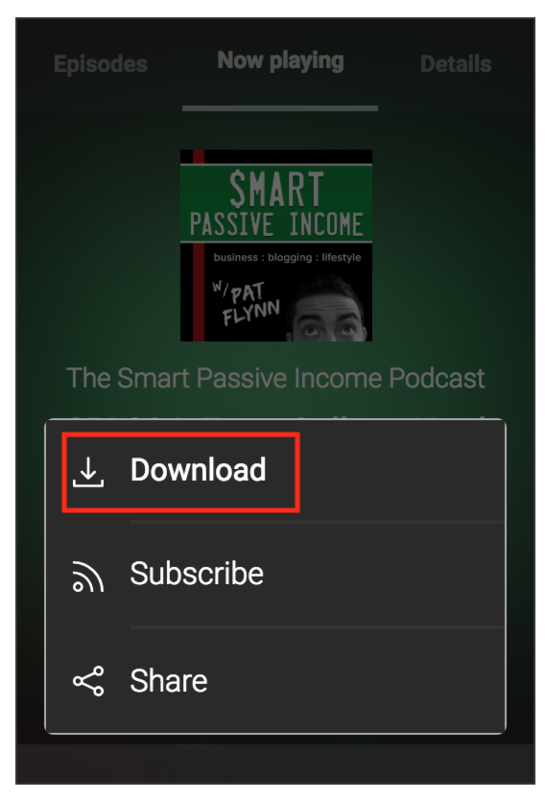 iOS makes it a little trickier to download your podcast files, so we developed the download feature to operate differently and allow you to still access the download file URL in iOS on mobile. The download URL will open in a new tab. In order to make downloads possible on your mp3 SoundCloud track, you need to specify whether downloads are allowed in your SoundCloud settings for that track. Hold your finger on the download button. A menu will pop up with options. Choose Copy to copy your Soundcloud file URL. Open new tab and paste the URL into a new tab.